Congressman Jim Bridenstine (R-OK) formally introduced his landmark American Space Renaissance Act (ASRA) to a packed audience at the National Space Symposium in early Apri. Five weeks later, the House of Representatives incorporated ten provisions from the ASRA into the National Defense Authorization Act. On the morning after this achievement, the author and sponsor of the ASRA bill, Bridenstine, asked industry on a Wednesday in mid-May to identify the obstacles—cultural as well as procedural—that prevent more efficient use of commercially leveraged solutions to serve government capabilities with greater resilience. Congressman Bridenstine intends to introduce new provisions to future versions of the ASRA to mitigate those obstacles. 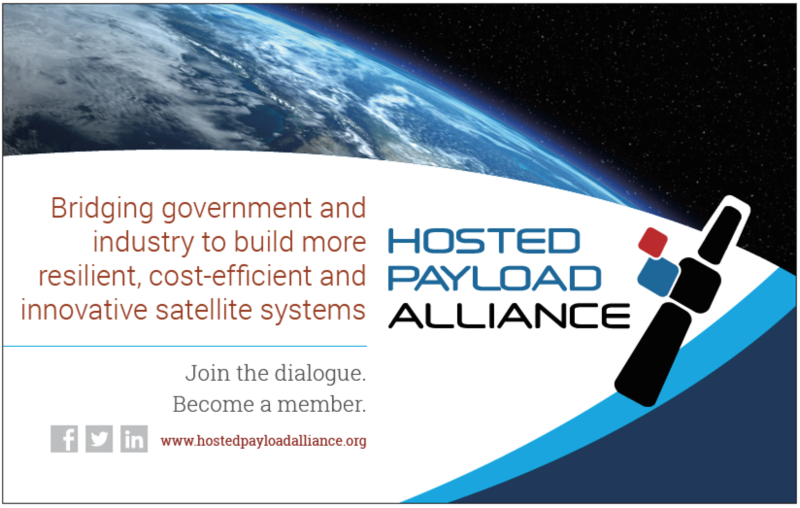 This column’s question for HPA Members is... What additional issues should future ASRA provisions address to leverage commercial solutions such as hosted payloads? What additional provisions to the ASRA will enable the USG to purposefully and deliberately leverage the abundant strength of the commercial space industry to enhance operational missions? 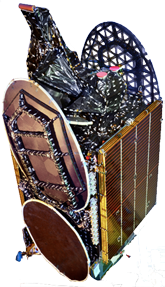 The Anik G1 satellite, built by SSL for Telesat Canada, is a Fixed Satellite Services (FSS) multi-mission C-band and Ku-band GEO spacecraft designed to support a variety of applications. 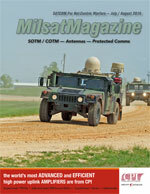 Anik G1 carries an X-band government communications payload with coverage over the Americas and the Pacific. Photo is courtesy of SSL. “I see two significant obstacles that have held back more widespread use of hosted payloads and commercial solutions for government missions. First is the long and complicated process used to consider each architecture change before acceptance. "It is unfortunate that any individual along this process can derail or entirely stop what might have been an innovative solution. Perhaps a streamlined process might help government take advantage of the benefits that commercial industry can provide. “The second obstacle deterring the government’s use of commercially leveraged solutions is risk. Risk is a crucial step on the road to innovation, and we must encourage the decision makers within our government and space community to embrace opportunities that have a favorable chance at providing a positive outcome. "NASA became great because it took some of the nation’s most audacious risks: sending mankind to the moon, the space shuttle program, the International Space Station, and the first exploration missions of our solar system – and beyond. The US military shares the same heritage, where carefully measured risks are taken in the name of progress, national security and defense. “Different budget ‘scoring’ rules would enable longer term leasing space services. These revisions also could facilitate opportunities for DoD to take advantage of long-term hosted payload capabilities that could improve resiliency, responsiveness, and capability. “The Federal Acquisition Regulations (FAR) must change for DoD to use commercial space capabilities and services. The acquisition and oversight bureaucracies are trained to be conservative when it comes to protecting the taxpayers and warfighters. "Changing the FAR will allow for new ways of doing business and signal to DoD that the existing order of things can and must change. That’s what ‘renaissance’ is about!”—Gil Klinger, Vice President, National Security Future Architectures, Space and Intelligence Systems, Harris Corporation.